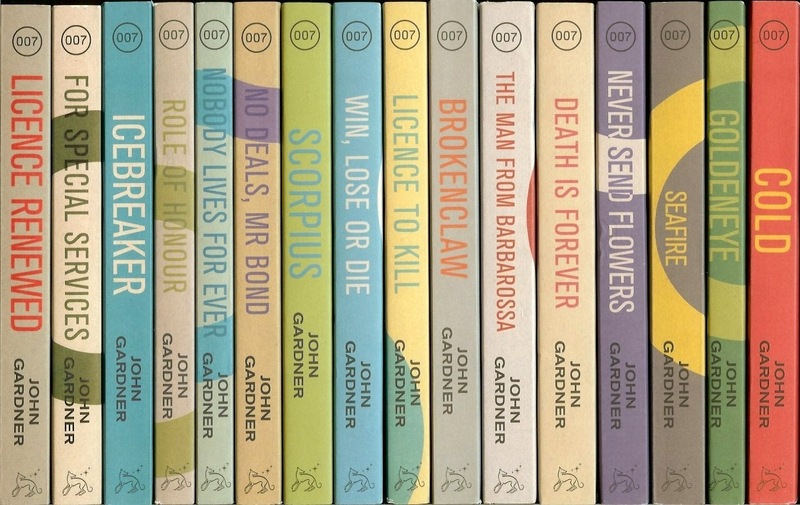 Now that all the books have been released (in the UK), here is the full set of all 16 new paperback editions of the John Gardner James Bond novels from Orion. 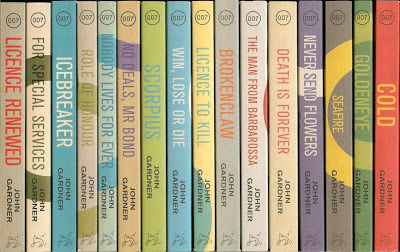 This is the first time the Gardner books have ever been printed in a uniform set, and the first time the novelizations of Licence To Kill and GoldenEye have ever been included in any set. I think the cover art by Dan Mogford looks sensational, and it's wonderful to see the dream I first articulated in this thread on CBn become a reality (I still wonder if that thread had anything to do with this). Not sure COLDs color scheme really feels like COLD to me, but this is a fine set. Nice to finally see them all together. Whoops! Thanks for catching that, Luke. I'll have to go in and fix that. Ditto Nobody Lives For Ever (which was corrected from Nobody Lives For Ever on an earlier draft). Yes, it would be sensational if they continued on into Benson, novelizations and all. They're a great-looking set - would love to see the Bensons (including the novelisations) reprinted in a similar set! I'm dying to get the Amis and Wood novels, but I'm waiting to see if they're going to reprint them like they have all these others! Oh, the spines do look lovely all lined up like that. Colourful, but not as, um, stark, as the old Putnam hardcovers. Very pleasing. 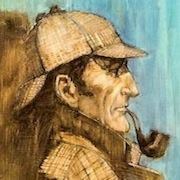 NOBODY LIVES FOREVER looks a tad thin, can hardly believe it's the same content as that purple Putnam brick I'm looking at as I type this. Putnam really went for thick, almost cardboard, pages at about NLF and Scorpius (the real offender) time - Scorpius I kept having to check that I was turning only onepage and not three. I know what you mean about the cardboard-like pages, Luke. I believe they've stiffened up with age. 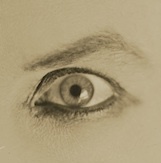 Am I the only person who actually liked Man From Barbarossa? It wasn't the best Bond book, not even Gardner's best but it was much better than what I was lead to believe. No, you're not.... I LOVED the man from Barbarossa, and as you said, not Gardner's best, but certainly a good one and a great Bond adventure... plus, it features one of my favourite allies in the series!